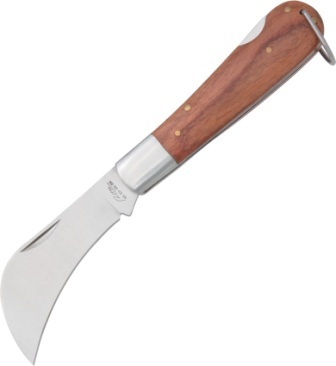 Includes 7" overall fixed blade with 3 1/4" upswept blade and 6 3/4" overall fixed blade with 4" guthook blade with finger ring. 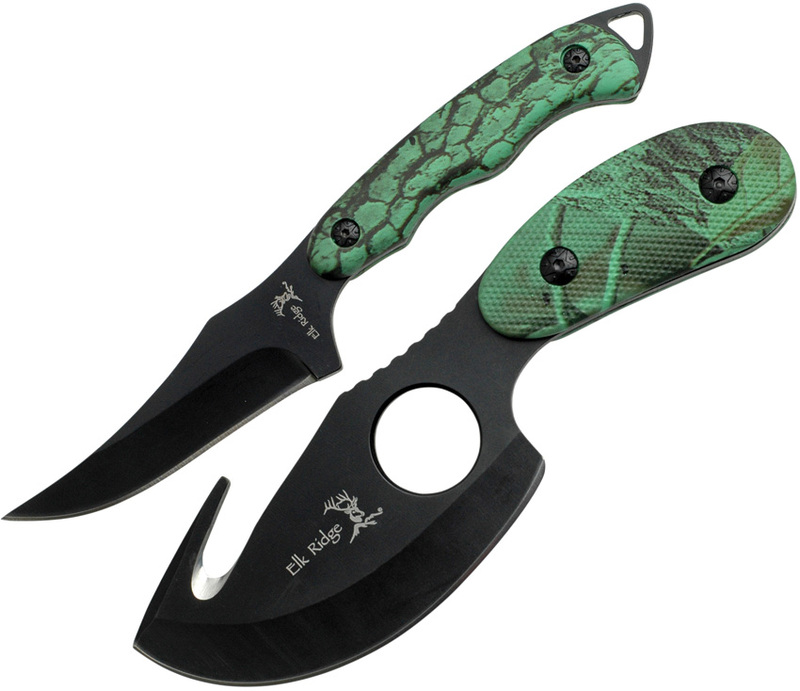 Both knives have black finish stainless blade and textured green camouflage composition handles. Full tang. Black nylon belt sheath holds both knives. Made in China. Log in and purchase this item to be earn 18 points. Learn about Rewards.